Active U.S. rigcounts is down reaching a total of 946 (927 - land and 16 - offshore). Offshore rigs have fallen significantly (dropping by one-third since the end of July). 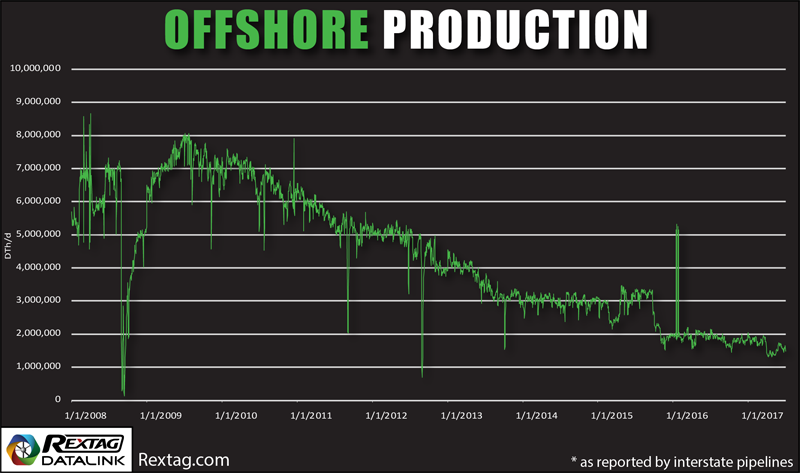 Overall offshore production has had a tendency to fall all the way. See it on this map below.